It’s a job seeker’s market right now, as employers compete to entice skilled workers to their organizations. 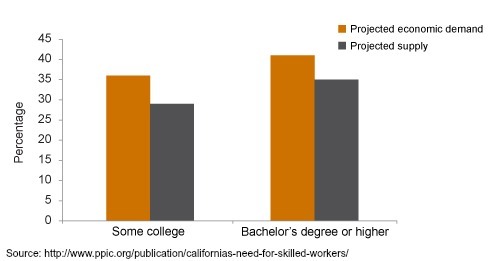 If recent trends continue at their current rate, California faces a shortage of almost a million college educated workers by 2025. State and federal policymakers have increased their focus on boosting educational opportunities with programs designed to expand college attendance rates and increase transfer rates from community colleges to four-year institutions, but in the meantime employers are struggling to find and retain top talent. There are five main things that influence a job seeker’s decision when it comes to accepting an offer of employment; Total Compensation, Workplace Culture, Advancement Opportunities, Cost of Living, and Daily Commute. By addressing all of these areas and offering enticing perks, you can attract skilled job seekers who are looking for a long term position. Offer competitive pay and additional compensation. Naturally, the higher the pay is, the more likely it is that a worker will consider the offer. If you have additional perks such as employer-covered life insurance, seasonal or performance bonuses, travel or transportation reimbursement, or other opportunities for compensation, you’re giving the employee a lot more to consider than just a paycheck. User-friendly recruiting and hiring methods. These days, job seekers are less likely to walk into a location and pick up an application. Where are they coming from? In addition to using job search websites, seventy-nine percent of job seekers use social media in their search employment. For younger job seekers who have less than 10 years of work experience, this figure jumps to 86%. 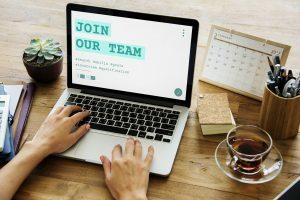 Employers need to become more internet-savvy, or use an internet-savvy recruiting service to reach these eager employees. Emplicity Search is one way you can easily reach top-tier talent. Exciting and engaging online presence. With potential employees heading to social media to find jobs, employers need more than a Facebook page to engage with them. In addition to reaching out to potential customers, your social media or marketing team should share a glimpse of what it’s like to work for your company - happy customers often make exceptional employees. Frequent and consistent feedback. One thing that seems to be the same across the board for employees of all ages is a desire for frequent feedback. No news isn’t always good news, and confident employees are ones who are receiving recognition for a job well done, or support from their employers when their performance is poor. This also extends to the hiring process, where a simple call or email to let them know that a decision hasn’t been made and they are still in the running for the position can keep your company at the top of their list. Culture is key. Culture is primarily about the image a company projects, but can affected by so many things from on-site amenities, to scheduling flexibility and remote opportunities, to the behaviors of management and employers. Employers can actively market their culture to attract candidates who would be a great fit, inviting potential employees to spend some time in the workplace and meet their would-be colleagues and supervisors. Emplicity knows that hiring top talent is a “make or break” proposition in today’s lean and fast-paced workplace. Although your organization may operate with thin margins, you are likely chasing the same talent that larger companies and deeper pockets attempt to lure. Emplicity Search can help you reach top-tier talent. Our seasoned recruiting consultants understand the challenges of hiring impact players for high growth, small, and mid-size businesses. By thorough analysis of your opportunity, future vision, and corporate culture, we create compelling employment propositions that resonate with top candidates whose professional motivations align with yours.